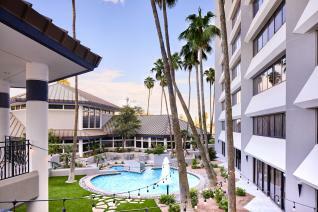 Nestled in the heart of Downtown Mesa, this cozy hotel makes the perfect &apos;staycation&apos; spot. The Delta by Marriott is just minutes from Main Street, so visitors are guaranteed find something fun and exciting to do while they are in town! 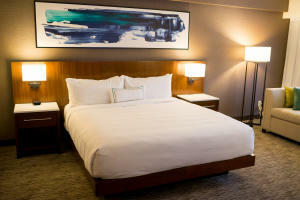 A full-scale renovation has recently been completed on the Delta Hotels by Marriot Phoenix-Mesa! 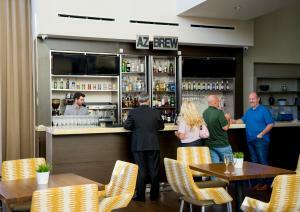 The new renovations included 274 guestrooms and suites, large meeting spaces, a lobby and common areas, as well as the addition of Cafe Azul and AZ Brew. You&apos;ll fall in love with the floral surrounding the hotel and a fountain that welcomes you in. Rooms include television entertainment packages and high-speed internet. The balconies also show off all the beauty that Mesa has to offer and provide you with a true Arizona-sunshine feel. For your convenience, the hotel is located only 15 minutes away from Phoenix Sky Harbor International Airport!